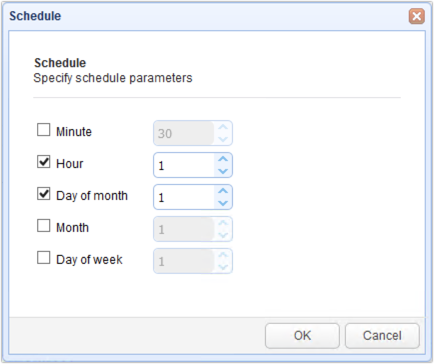 One of MFT Monitor's useful features is its scheduler. 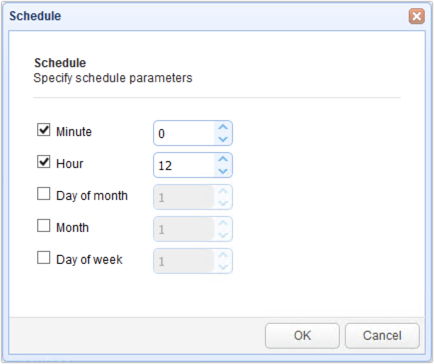 The scheduler enables administrators greater flexibility and control over their load testing sessions, allowing them to be scheduled at desired times. When the Edit ... Monitor dialog appears, scroll down to the bottom until you reach the checkbox labeled: Schedule automatic run .... Tick that checkbox and then click Settings. You should then see this monitor's scheduler. This feature adds an extra measure of flexibility and automation for administrators because now you do not have to manually initiate each load test. If you want to initiate load tests during off peak hours you can now schedule these tests for specific times of day, on specific days of the month, in specific months and specific days of the week. 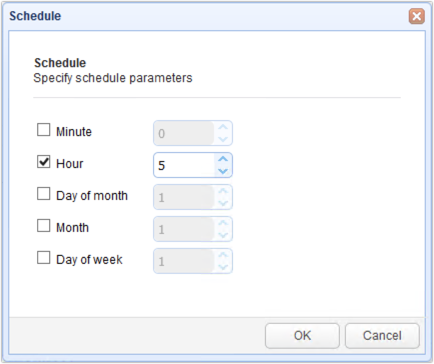 When you enable the scheduling feature, you get five options for configuring the time conditions. Minute - The minute of the hour. Hour - The hour of the day. Day of Month - The day of the month. Month - The month of the year. Day of Week - The day of the week where the 1st day of the week is Sunday. If you want to schedule your load tests to initiate every day at 5:00 AM, your settings would look like this. If you want to initiate your load tests on the first day of each and every month at 1:00 AM your settings would look like this. You can schedule your tests to run once or schedule them to be reoccurring. You can schedule multiple tests to run on an hourly, daily, weekly, or monthly basis. JSCAPE MFT Monitor puts more flexibility and control in the hands of administrators, making server administration much easier. 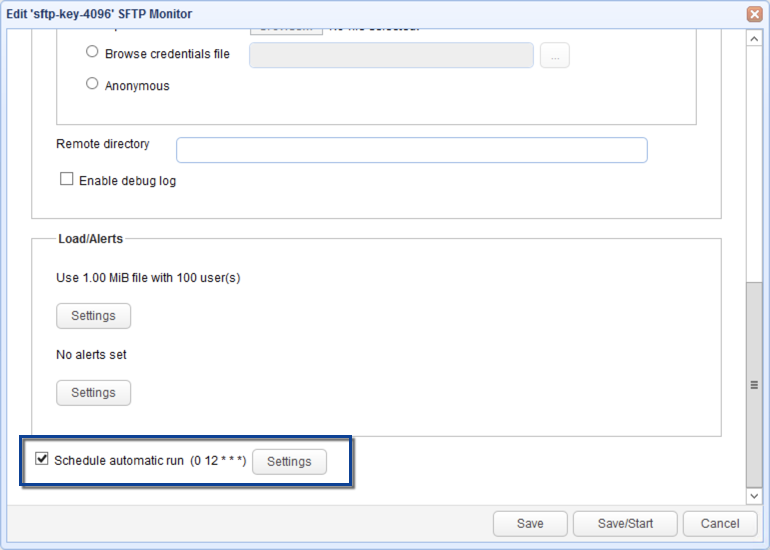 For more information about JSCAPE Load Monitor this article should help you get started.